Vo5 Miracle Concentrate Hair Elixir: I love trying out different hair oils/serums, I had tried many before so I can compare them. 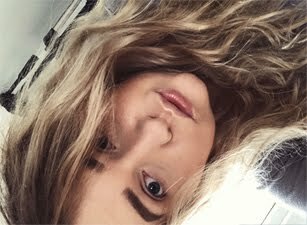 The Vo5 Miracle Concentrate Hair Elixir just didn't work for me, if you want you can read read full review on it here. My thought on it still haven't change. It does make my hair feel a lot drier when I use it. I know that some people love it, but this just doesn't work well with my hair. Macadamia Healing Oil Spray: Not sure why but the spray version of the Healing Oil just doesn't work for me, I used to use the normal liquid one and I loved it. The Spray version has very unpleasant scent, which annoys me. Whenever I use it, it's leaves my hair feeling really sticky and oily. I normally apply this day before washing my hair. I do feel like this helps to smooth out my hair, but the spray version just doesn't work for me. Tresemme Waterless Foaming Shampoo: The worst "dry" shampoo I had ever had a chance to use. I tried to make this work, but it's like mission impossible. The Waterless Foaming Shampoo leaves my hair feeling a lot more greasier and sticky. I think it easier to actually wash your hair with water. Not a great shampoo to use between washes. TIGI Rockaholic Leave-In Detangler & Defrizzer: I would love this products, but the smell made me hate it! This has the worst smell ever, not sure what I can compare it to. When I just spray it on my hair I feel like re-washing it. It's a nice detangler, but I wouldn't say it's a great defrizzer. I'm COMPLETELY agree on the Tresemmé Dry Shampoo! The exact same happened with my hair too, not fun! I'm so glad, well not glad that you had the misfortune to use it too, but that its not just my unruly hair being irritating, haha! I love these type of posts! 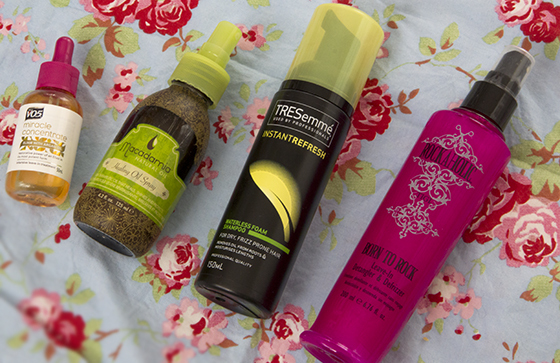 The Tresemme Dry Shampoo was a disappointment for me too, only stick to Batiste now; you can't fail with it! i hated that dry shampoo! I've tried the dry shampoo too and didn't like it. I prefer the spray ones. I always really like the smell of Tigi products they smell like sour candies or something. I was planning to buy the Tresemme Waterless Foaming Shampoo this coming weekend but good thing that I have browsed your blog earlier. I guess I have to pass on this one now. I love reading these kinds of posts, sometimes it's really useful to know what didn't work for someone! The Tresemme dry shampoo is so horrible! It's interesting to see what people don't like and reasons why so we don't waste money on it! Hey great post. Where did you purchase your Tigi Rockaholic from? Because I first tried it when I bought it from a hairdressers and loved it, it smelt delicious! Then I ran out so ordered it from fragrance direct I think and when I got it, it smelled horrific no way was it the same as I purchased before!! Just wondered.